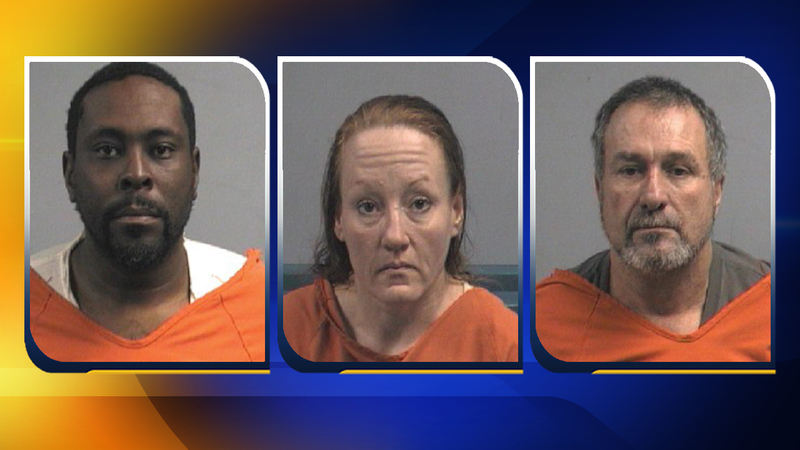 WAYNE COUNTY (WTVD) -- Three people have been charged in connection with thefts that were reported from the North Carolina Department of Transportation office in Wayne County. The Wayne County Sheriff's Office said the $102,730 worth of NCDOT property was stolen on December 14, 2017. Charles Bryant, Jr., 42, of Goldsboro, was charged with felony larceny, embezzlement and obtaining property by false pretense. Authorities said Bryant was an employee of the NCDOT. Michael Cavanagh, 54, and Renee Whisenant, 43, were each charged with felony larceny, possession of stolen goods and obtaining property by false pretense. Authorities say some of the property has been located.